Tech Tattoos are colorful labels perfectly sized for cell phones, laptop covers and tablet backs. They are beautifully printed on sheets of tear-proof film. The die-cut labels can be removed cleanly—leaving no sticky residue behind—and they don't tear. 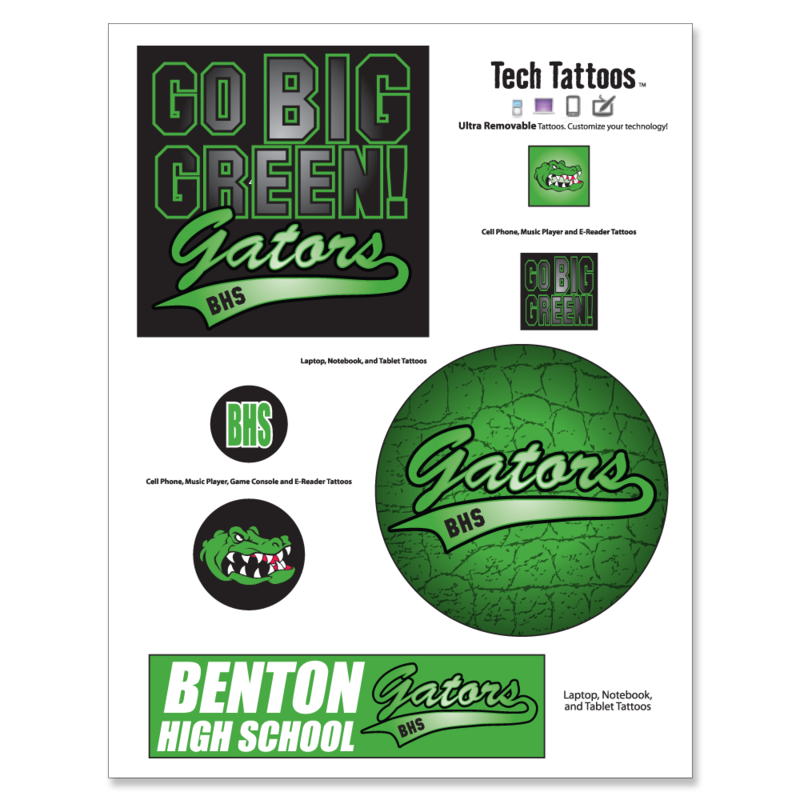 They make great giveaways for universities, K-12 schools, booster clubs and more.